Looking for educational opportunities in Europe? CEU is a Hungary and US-accredited graduate university with campuses in Budapest, Hungary and Vienna, Austria. It is ranked #151-200 and Central and Eastern Europe #2 in Economics by QS and Academic Ranking of World Universities. 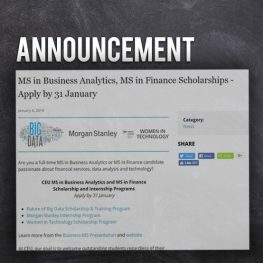 CEU’s MS in Business Analytics and MS in Finance are ranked #50 and #89, respectively, by QS. The programs are based primarily in Budapest, and are designed to allow students to enter an internship or job at any time.